All the royals wanted was a brood mare crossed with a clothes horse. 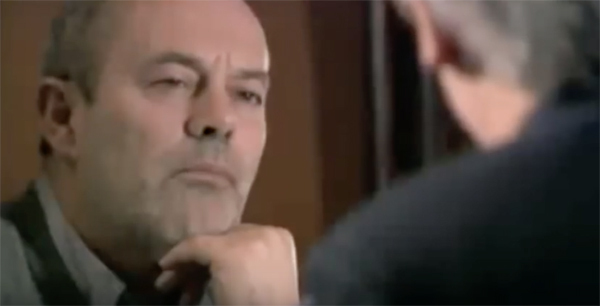 This Mohamed Al Fayed-financed documentary, fronted by the one and only – mercifully – Keith Allen, boasts the honour of being unshown in the UK owing to 87 changes, requested for legal reasons, that the producers refused to make. It’s readily viewable on YouTube, however, where it can be considered for what it does or doesn’t add to the conspiracy conversation surrounding Princess Diana’s death. While it presents examining the inquest as its remit (“It is the inquest of the inquest” as Allen puts it) its net is cast wider than that, and it’s in that capacity that it ultimately ends up undermining itself. Written by Victor Lewis-Smith and Paul Sparks (of TV Offal, and Gay Daleks fame), presumably with some input from the man holding the purse strings, Keith gets his point across in his patented rough-around-the-edges manner, although any deficiencies on his part are thrown into sharp relief when Piers Morgan is invited to ooze across the screen (“As she used to say to me” he comments of Princess Di at one point). Allen and co are strong on the inquest being pretty hopeless and the evidentiary blackholes of cleaning the crime scene, lack of operating surveillance cameras, the embalming of the body, the error-ridden medical reports, the disparities between repeated police searches, no royals being called to give evidence (despite Di’s note concerning the manner in which she suspected she’d be bumped off by them) and the amount of time it took for the world’s slowest ambulance to reach a nearby hospital (37 minutes to get her into the ambulance, 81 minutes to set off to the hospital, 1 hr 43 minutes before it arrived at the hospital). 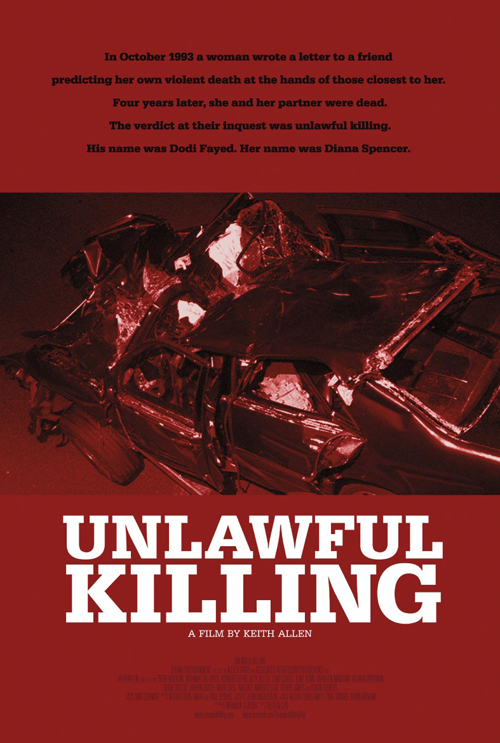 Most of all, on the commonly held error that the jury put the blame on the paparazzi, which was certainly the way most of the media reported it: in fact, they declared her death an unlawful killing (so murder or manslaughter) by vehicles following (being the white Fiat Uno and motorcycles seen by eye witnesses, which it seems there was no subsequent urgency to trace). I’m less convinced of the need to obsess about Nicholas Witchall falling asleep in the press room, in order to underline that the BBC, and the press generally, had decided how they were going to report the case before it started. Not because it may not have been true, but because it’s judicious to pick your targets. 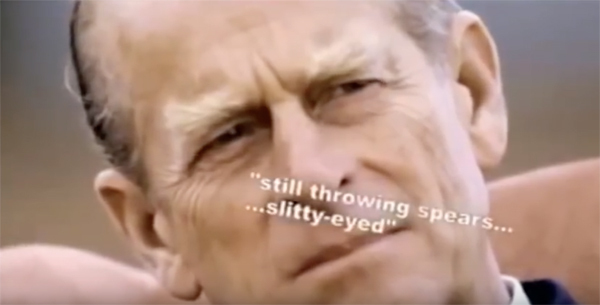 Likewise Princess Philip and his Nazi connections; yeah, I know Al-Fayed views them as a “bloody racist royal family” and the Duke of Edinburgh self-admittedly is, but if you’re going to make a case for their offing her and Dodi on race grounds you probably ought to go the whole hog and get deep into the bloodline purity angle David Icke is so fond of; as presented here, it feels a little desperate, as does the landmines argument (which is the Di equivalent of JFK wanting to pull out of Nam, but it’s debatable if it’s actually equally so). 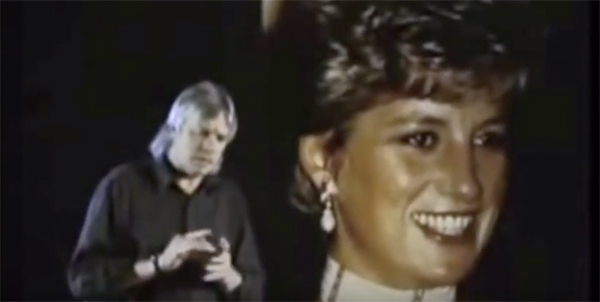 At the end of the YouTube documentary, the poster included an excerpt from an Icke talk, clearly as a counterpoint, in which David puts forward his theory that Mohamed Al-Fayed was also in on her murder (it was clearly the old double bluff to bring the court case), based on his allegedly attending satanic rituals with the Queen at the Chateau des Amerois (Castle of Darkness) in Belgium and persuading Dodi to call off the security detail on the day of the killings (Al-Fayed claims to have issued no such instruction, not in response to Icke, I should stress, although it’s notable that this aspect isn’t broached at all by Allen). 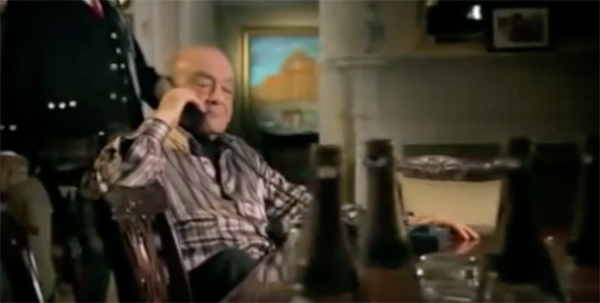 Now, sure, it’s feasible Al-Fayed was involved, thought his son would come out unscathed and sought vengeance through the courts when he didn’t, but it requires an additionally elaborate and tenuous set of arguments, irrespective of the royals being lizards or the driver being mind-controlled to hit the thirteenth pillar (once David starts connecting those dots, he just can’t stop). I note he makes no mention of Al-Fayed’s alleged involvement in his summaries of her death in his most recent couple of books. For brevity’s sake? An interesting doc, then, but not the curtain lifter its legal status might suggest. He leads with his heart. Not his spear. You might want to rethink how amazing he is. STEM, you can take over. Must the duck be here? I'm a sort of travelling time expert. They're everywhere. Battling for dominance.